Your crooked and misaligned teeth can be corrected to perfection. We have different types of braces to fit your needs. Space is created in mouth for arrangement of teeth. The braces are attached to teeth for tooth movement. Braces are replaced with retainers. Why do we need braces or orthodontic appliances? For some the size of the jaw is larger than the teeth size ,resulting in teeth with spaces. For those whom the jaw size is smaller, the teeth happen to be crowded or overlapping.. This also occurs due to childhood decay which might have resulted in loss of space. For some with mouth breathing habits (due to deviated nasal septum or chronic allergies) the face seems to be long. For some the teeth are forwardly placed, it may have been a result of habits like thumb sucking or tongue thrusting. They may not be able to close their lips fully. This may also result in an open bite where the front teeth do not meet together. Whatever the problem, it can be corrected and set right through some appliances and braces. The science of “straightening your teeth” is called orthodontics and the doctor who corrects it is called and “orthodontist”. Teeth that are overlapping and “ crowded” are difficult to clean, putting you at a risk of cavities and gum disease. Many times the overlapping teeth can cause decay in the adjacent tooth too. Teeth that are protruding are often prone to injuries. Spacing in between teeth leads to early bone loss, and loss of support, causing early loss of teeth. Jaw growth discrepancies may affect the jaw joint (TMJ) causing a chronic pain or Temporo Mandibular Disorder (TMD). Teeth alignment problems cause decay, bad breath and gum disease. Teeth alignment also affect the facial appearance. Ideally the orthodontic treatment should begin between the ages 10 and 14. This is when a child’s head and mouth are still growing and teeth are easier to straighten, treatment duration will be 8 months to 16 months based upon the severity of the condition. Certain jaw growth problems can be handled simply in mixed dentition period, before the permanent teeth erupt hence the treatment can begin at an early age of 6. But it’s can be done at any age “ better late than never”. In some children with habits like mouth breathing, thumb sucking, these can be corrected with orthodontic appliances. There are different types of braces. The most common are metal or ceramic braces attached to the front surface of the teeth. 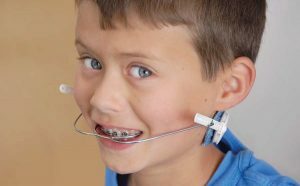 “Lingual” braces attach to the back of teeth. They are hidden from view. A diagnostic cast of an impression of the dental arches. The study model serves as the basis for construction of dental appliances, dentures, or orthodontic treatment. These are most economical type of braces . The metal braces used at Apollo white dental are of the highest quality, usually 3M , American orthodontics or Damon or their equivalent. We use technique the straight arch-wire technique which is scientifically proven and has a sound research back up with long term success rates. Wire which exerts the force and the component that holds them together. The braces are made of stainless steel and are strong. The wires are made of Nickel titanium . The braces are fixed to the teeth using a colorless or tooth colored resin paste. The wire is then placed in the groove of the metal brackets and then fixed by tying (ligating) them . Small silicon bands are used for ligating the wire to the brackets. Sometimes thin stainless steel wires are also used. Require rigorous maintenance since they are stuck to the teeth for the entire treatment period. 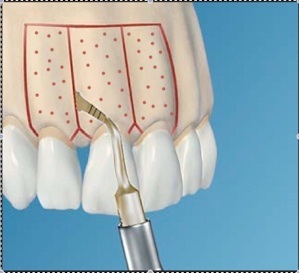 If maintenance is poor, can lead to demineralization of the tooth at times. The non-self ligating variety of requires regular check ups. Eating habits will have to be modified. These are the ceramic or tooth colored replicas of the metal braces. While the function and the method of action are the same, they are less visible and are easier to clean. Can be adapted to correct most malocclusions except the ones where the bite force on the braces might be heavy. 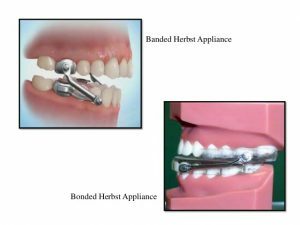 Require less rigorous maintenance than traditional metal braces. They are not completely invisible. The non-self ligating variety of requires regular check. 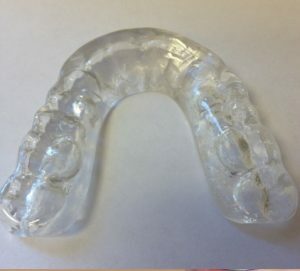 May not be suitable where patient has a deep bite and the braces may encounter heavy bite force. Chewy food like caramel and hard cracker like food have to be avoided. Tooth coloured brackets wherein the force from the wires are transferred to the tooth through the bracket that is stuck to the tooth. A small silicon band is used to keep the wire in contact with the braces. 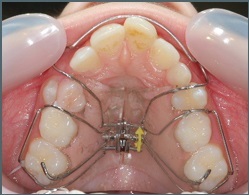 In self ligating braces the brackets are so designed to lock the wire by themselves. This method has been suggested to enhance tooth movement and, consequently, reduces orthodontic treatment time as a whole. It is a clinical procedure that combines selective alveolar corticotomy, particulate bone grafting and the application of orthodontic forces. Braces have conventionally been fitted to the front of the teeth , making them visible during the entire course of the treatment. Since this may be awkward and not suitable for some, the braces that can be fitted to the inside of the tooth called the lingual surface, was developed. These lingual braces are custom made at the lab. Every component of the braces is pre positioned and sent as a set. This set is then placed over the teeth and light cured. Being custom made, these braces are slightly more costly than their labial (lip side) conventional braces. Crafted individually for every patient. Visible change in a short time. NO risk of decalcification on the front tooth surface. May need time for adaptation for some people. Needs preparation time, cannot be started right away. Since they are fixed to the teeth for a time period, rigorous maintenance needs to be followed. Some food may need to be avoided. Orthodontists move teeth through the use of specialized metal or ceramic braces, which permits the application of steady pressure over time to move teeth into their ideal positions. With traditional braces, there are three main components that are used to make this possible. 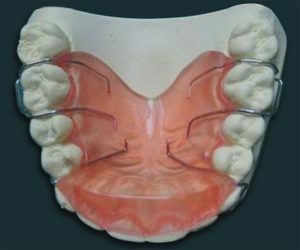 The brace (brackets) itself, which is placed on the tooth, the arch wire, which runs through each brace and applies corrective pressure to the teeth, and a “tie” (typically made from elastic material) which connects the arch wire to the brace to transfer the force from the wire to the tooth through the bracket. These ties are usually visible like a rubber-band around bracket. They sometimes accumulate food and are difficult to clean. Sometimes they snap, or move, which is why frequent check-ups are necessary. Sometimes they snap, or move, which is why frequent check-ups are necessary. Self-Ligating braces offer a number of benefits compared to traditional braces. The number of visits to the dentist is considerably reduced. you may need to see the dentist only once in 3 months. Self ligating braces are also made of ceramic/ tooth colored materials for lesser visibility. 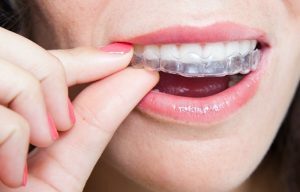 For those who cannot go through the process of fixing braces to their teeth we have the aligners. Following orthodontic treatment retainers are given to hold the tooth in new position to avoid movement of teeth to the previous position. Thumb sucking, mouth breathing, nail biting, lip sucking habits need to be broken after the age of 4 years. The paediatric dental specialist can design a special appliance and custom make it for the child to help break the habit. Removable appliance for minimal tooth movement/ retain teeth in position following orthodontic treatment. 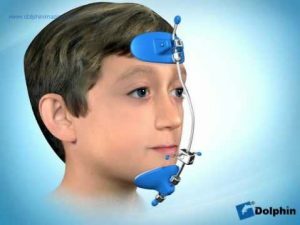 Jaw growth disturbances can be corrected during the growing stage of the child by using simple appliances to stimulate or inhibit facial bone growth to give the desired facial proportions. 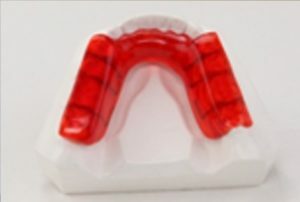 Orthodontic headgear is used to control the growth of the maxillary and mandibular bones during orthodontic treatment. The most common treatment headgear is used for is to correct anteroposterior discrepancies. A removable dental appliance used to cover the occlusal surface of teeth to prevent their contact and, over time, close an open bite. A removable dental appliance used to cover the occlusal surface of teeth to prevent their contact and, over time, open a deep bite.